Our classic All Butter Cake with Brandy extract presented in a decorative keepsake tin. 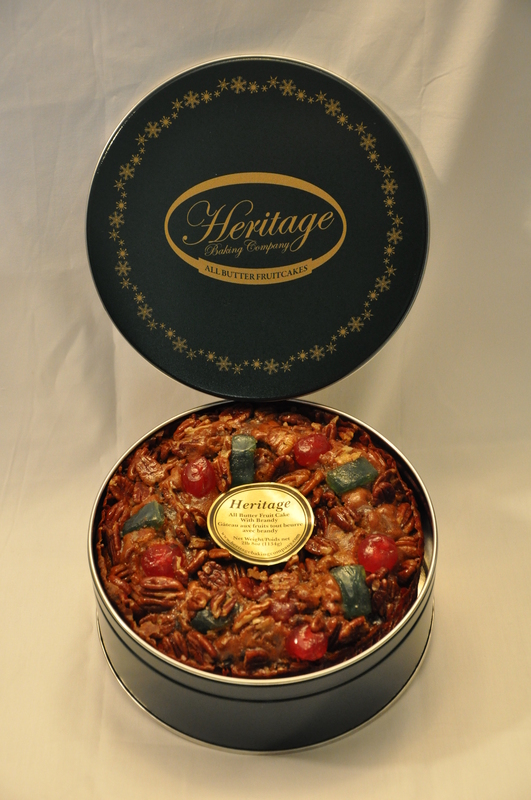 Our classic All Butter Fruit Cake with Brandy extract presented in our decorative keepsake tin. 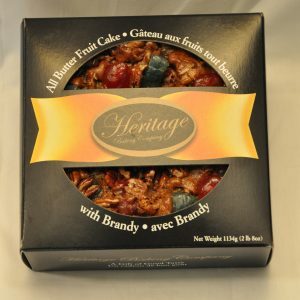 The best of the best.I was not eating fruit cake until I tasted your cake now I can’t wait my gift every Christmas.C’est le meilleur et à chaque Noël j’ai hâte de recevoir mon cadeau (fruit cake).Vive le gâteau aux fruits HERITAGE! I was so good, I bought it twice. Ordered the first one in November and loved it. I just ordered a second one and will order every year from now on. No more searching for the perfect fruitcake, I’ve found it. Çe gâteau est si bon que j’ai fait deux commandes.